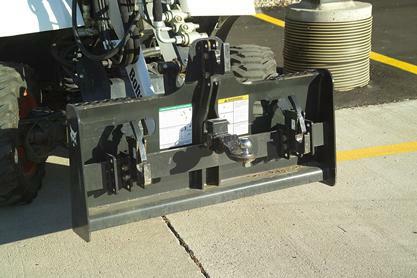 Use this adaptor with Category I and II implements that meet the ASAE standard for quick hitch. Features include Bob-TachTM mounting system for quick-mounting, adjustable top link for added versatility and 2-in. receiver for towing trailers.